Because of a wave of vacancies, Trump will have the ability in the coming months to appoint as many as four people to seats on the seven-member Federal Reserve board, including the top two positions. WASHINGTON — President Donald Trump is betting he can turbocharge the U.S. economy with tax cuts and trade deals, but his greatest leverage to influence growth may rest with an unparalleled opportunity to reshape the world’s most powerful central bank. Because of a wave of vacancies, Trump will have the ability in the coming months to appoint as many as four people to seats on the seven-member Federal Reserve board, including the top two positions. That’s in addition to his first Fed nominee, investment-fund manager Randal Quarles, who is awaiting Senate confirmation. With its power to move interest rates, regulate financial institutions and provide emergency lending, the Fed plays a pivotal role in stimulating the economy, encouraging job growth, controlling inflation and recovering from recessions. At the same time, a misstep or rash decision by the Fed has sometimes been blamed for a downturn. Today the Fed is stewarding the economy at a time of unusual uncertainty as central bank officials try to gently unwind the dramatic steps they took after the Great Recession, without ending a long, but slow, economic expansion that some say is already overdue for a reversal. “The amount of turnover, the number of vacant seats, I think this is historically unprecedented — certainly in my lifetime,” said Princeton economist Alan Blinder, 71, who was the Fed’s vice chairman from 1994 to 1996. A lot is riding on who will be the next Fed chair. 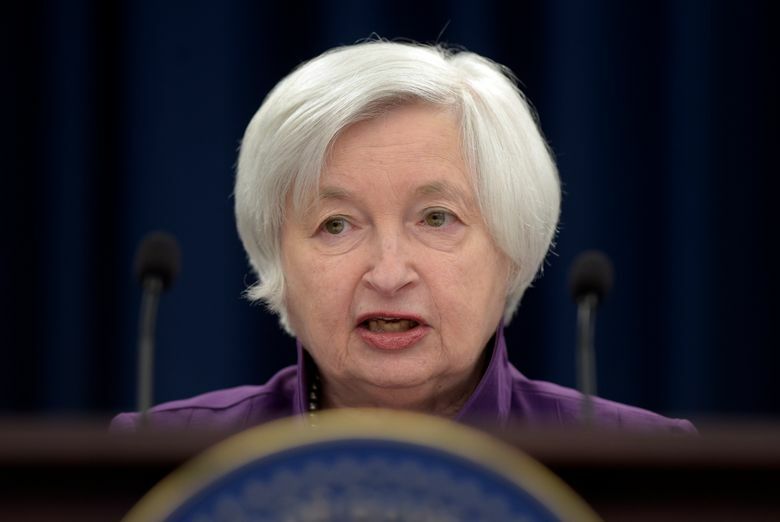 Janet Yellen, a former University of California at Berkeley economics professor, became the first woman to lead the bank in its century-old history. Her four-year term expires in February, and it’s not known if Trump will renominate her. The decision has been complicated by an apparent falling-out between Trump and his top economic adviser, Gary Cohn, who had been seen as Yellen’s likely replacement. Typical of his administration, Trump is approaching the decision differently than other recent presidents. In a nod to market stability and confidence, recent presidents have kept Fed leaders in place, even if appointed by the rival political party. And they’ve telegraphed their decision much earlier. Trump, by contrast, has replaced the usual narrow search of establishment economists with a broader contest of candidates. Though she opposes his push to scale back financial regulations, Yellen might be Trump’s best bet for keeping interest rates low, which as president he now supports as a way to produce economic growth. Renominating the well-known policymaker could also reassure investors warily eyeing all the Fed vacancies, said Michael D. Bordo, director of the Center for Monetary and Financial History at Rutgers University. “It seems to me if you’re a new president — and I know Trump’s much more of a wild card than anyone we ever had and might not be thinking in these terms, but his advisers probably are — you don’t want to give people anything more to worry about,” Bordo said. But Yellen might not be interested in another term — particularly if Trump stacks the board with conservative members who could come with competing economic theories and form a majority. At Yellen’s quarterly news conference Wednesday at the conclusion of the Fed’s two-day policy meeting, the 71-year-old central-bank chief declined to say whether she would like to serve a second term. The meeting was the last for her top ally on the board, Vice Chairman Stanley Fischer, whose recent unexpected announcement that he would step down next month added to speculation that Yellen would soon follow him out the door. Joshua Feinman, chief economist and managing director at Deutsche Asset Management in New York, says Fischer has been “one of the key intellectual proponents” of reversing low interest rates and other stimulus efforts. “His departure also does complicate the operation of the Fed and throws a further question mark about how is leadership going to change,” Feinman said. He predicted that Trump would nominate someone other than Yellen. “The chance to put your own guy there will probably carry the day,” Feinman said.